Since 1945, Lochard Inc Heating and Cooling has provided expert furnace repair, sales and service to keep families comfortable and warm all winter long. At Lochard, we service and repair all makes and models of heating systems. 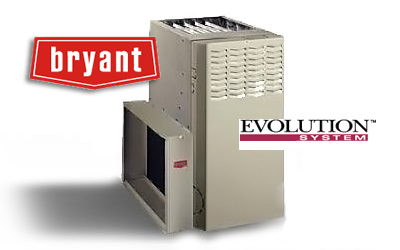 Our factory trained and NATE certified technicians will expertly diagnose, repair and service your furnace or HVAC to restore maximum efficiency and comfort. We offer 24 hours service 7 days a week. We repair all brands and models of furnaces including electric furnaces, oil furnaces, gas furnaces, geothermal heat pumps, heat pumps, and boilers for residential and commercial. We offer priority emergency service for our service plan members click here for information about our service plan. WHATS THE AFUE RATING ON FURNACES MEAN? Furnace Efficiency Rating All of today's Boilers and Furnaces efficiency is measured by annual fuel utilization efficiency (AFUE). To be more specific, AFUE is the ratio of annual heat output of the furnace or boiler compared to the total fossil fuel energy consumed by a furnace or boiler in the period of a year. At Lochard we offer furnace systems from 80 AFUE to 98.3 AFUE to help fit your budget and comfort and to lower your monthly heating bills. Please give us a call today to find out more or to schedule your free in-home consultation on a new high efficiency furnace or central air system. According to the U.S. Environmental Protection Agency, geothermal systems are "the most environmentally clean, energy-efficient, and cost effective space conditioning systems available today." That's because a geothermal system taps into the earth to capture free, renewable energy. The earth absorbs about 47% of the sun's energy that reaches it, storing that energy in the ground. A geothermal system extracts that free energy for heating during winter. For cooling, the system removes heat from the home and dumps it into the cooler earth. This transfer of heat energy is done through a series of lines buried in the ground, or sunk in a pond, or by using well water. Because a geothermal system simply moves heat instead of burning a fossil fuel to generate it, it's more energy-efficient. For more information visit our Geothermal page! Lochard offers a large selection of ductwork services such as complete duct system replacements, repairing duct holes and sealing leaky ducts and duct joints. All new ductwork is made in our own sheet metal fabrication facility reducing costs and increasing quality. Call us today for more information.